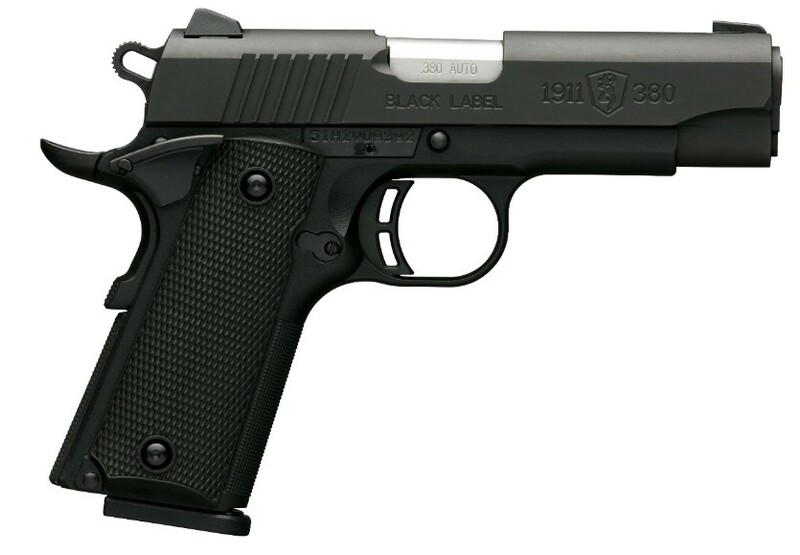 New for 2017 - Boasts a high strength/lightweight composite compact-size frame at 85% of the original 1911, machined steel slide, target crown, fixed combat sights, eight round magazine, extended ambidextrous manual safety, and skeletonized hammer. Size Matters. The Browning 1911-380 combines two of John M. Browning's most lasting innovations - the Model 1911 and the 380 ACP cartridge - into a modern, lightweight pistol. Unlike most of the modern "pocket pistols" that chamber the snappy 380 ACP cartridge, the 1911-380 is slightly larger to better manage recoil for improved control that makes follow-up shots faster and more accurate. The longer barrel increases bullet velocity for more downrange punch and improved acccuracy. The grip is compact, yet is long and wide enough to allow the shooting hand full purchase for added shooting comfort.